Standard staples are designed to fit in standard staplers. Leg length is 1/4". 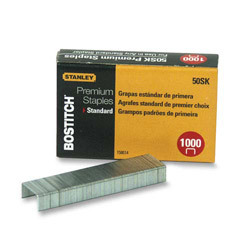 Stainless Steel Staples from Stanley Bostitch! 474 In Stock today.